He is full professor of Electronics at the Department of Electrical and Electronic Engineering - University of agliari (ITA Y). He received the “laurea degree” in Electronic Engineering at University of Genoa (ITALY) in 1989, the PhD degree in Electronics and Computer Science at the same university in 1994. In 1994 he joined the Department of Electrical and Electronic Engineering of University of Cagliari (ITALY) as assistant professor, in 1998 as associate professor and from 2006 as full professor of electronics. He teaches courses on system/digital and analog electronic design and processor architectures for the Courses of studies in Electronic and Biomedical Engineering. He was coordinator of the project EU IST- FET – IST-2001-39266 – BEST and he was unit coordinator of the project EU IST-FET - SHAPES – Scalable Software Hardware Architecture Platform for Embedded Systems. He has been local coordinator of industrial projects in the field (among others: ST-Microelectronics - Extension of ST200 architecture for ARM binary compatibility, ST-Microelectronics - Network on chip). He is responsible for cooperation programs in the field of embedded systems with several other European Universities. He was coordinator of the MADNESS EU Project (FP7/2007-2013) and local coordinator in the ASAM (ARTEMIS-JU) and ALBA projects (national founded project) and RPCT (regional founded project). He is currently Post-Doc Research Assistant at the University of Cagliari. He received his degree in Electronic Engineering in 2012 at the University of Cagliari and his PhD in 2016 in the same university. Since 2012, he is working on automated methodologies for dataflow-based reconfigurable platforms generation. His main research focus is related to reconfigurable system design and development of code generation tools for advanced reconfigurable hardware architectures. She is a Ph.D student at the Department of Electrical and Electronic Engineering of the University of Cagliari. She received her degree in Electronic Engineering in 2014 at the University of Cagliari. In June 2014 she started a 1 year research grant related to power saving methodologies in dataflow- based reconfigurable platforms. Her main research focus is related to reconfigurable systems design and development of code generation tools for low power reconfigurable hardware architectures. 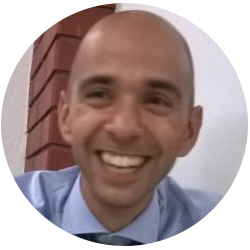 He is a research associate at the Department of Electrical and Electronic Engineering (DIEE) in the University of Cagliari. He works at the EOLAB Microelectronics Lab on design of adaptive embedded computing platforms for streaming applications. His research interests include Multi-Core heterogeneous computing architectures, technology-aware techniques for adaptivity and fault-tolerance, and FPGA-based fast prototyping. Giuseppe received his Ph.D. and M.Sc. degree in electronic engineering from University of Cagliari, Italy, in 2013 and 2009 respectively. 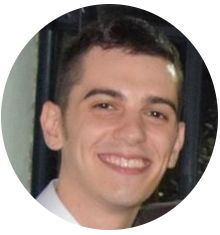 He is a Ph.D. student in Bioengineering and Bioelectronics at the Department of Electrical and Electronic Engineering (DIEE), University of Cagliari. He received his degree in Electronic Engineering in September 2015 from the same university. His main research focus is related to reconfigurable platforms design. He has worked on image recognition and CNNs at the University of Cagliari since October 2015. He received his degree in Electronic Engineering in 2015 at the University of Cagliari. He is currently working on reconfigurable hardware acceleration of CNNs for artificial vision.